At HEILBrice we believe that social media is not about technology. It is about emotion and engagement. Platforms will continue to change and evolve at lightning speed. The basic human need to connect and engage with something we love will remain constant. We use strategic business insight to create content that can turn followers into engagers and engagers into brand advocates. The strategic insight behind our campaign was that our lives are best remembered in stories—where we go, what we do and who we’re with. If there’s any destination where absolutely anything can happen, where the best stories can be created, that place is Los Angeles. 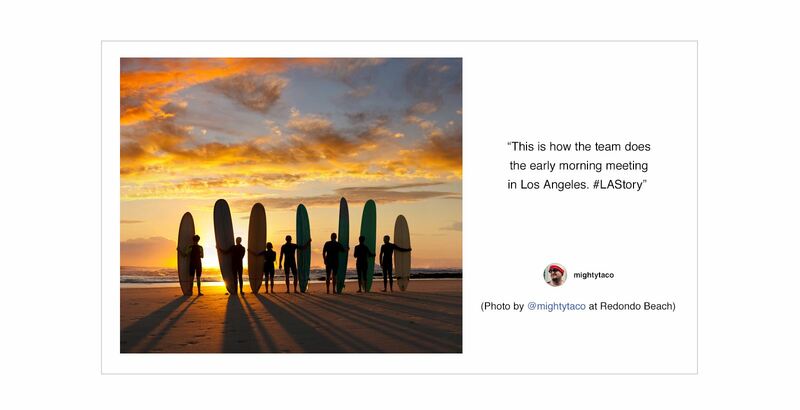 So we invited visitors to imagine what sorts of magical moments their trip to LA might create. The campaign included traditional TV, out of home as well as digital display and video. Creative landings were developed to speak directly to multiple visitors: couples, families with kids, athletic-types, arts and culture oriented, fashionistas. We wanted to reflect that in social media as well. Our campaign came to life in social media, especially Instagram. 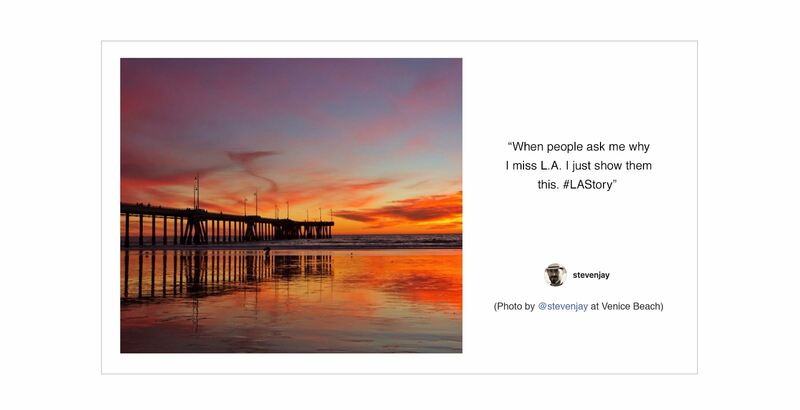 Engaging with 15 travel and LA influencers, our campaign hashtag has become a transcendent way to express what Los Angeles is all about. 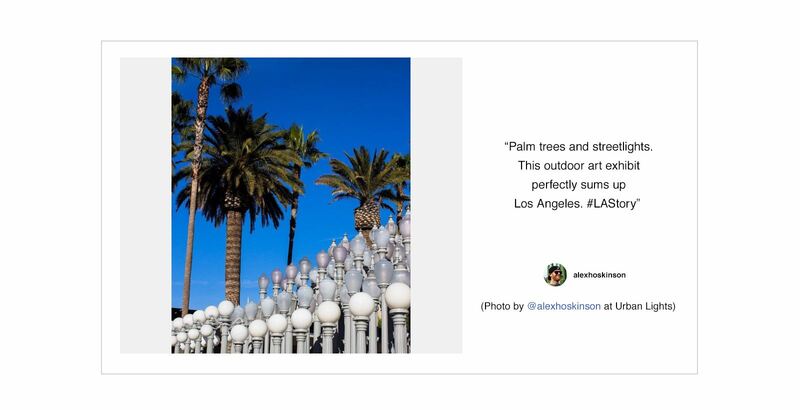 We are especially proud of the fact that we have created an authentic LA experience. It is not ”commercial” in any way; the content quality is held high by the users who create it, not by an unseen brand trying to control it. Marie Callender’s is an iconic Southern California restaurant chain of over 60 company and franchise owned locations. 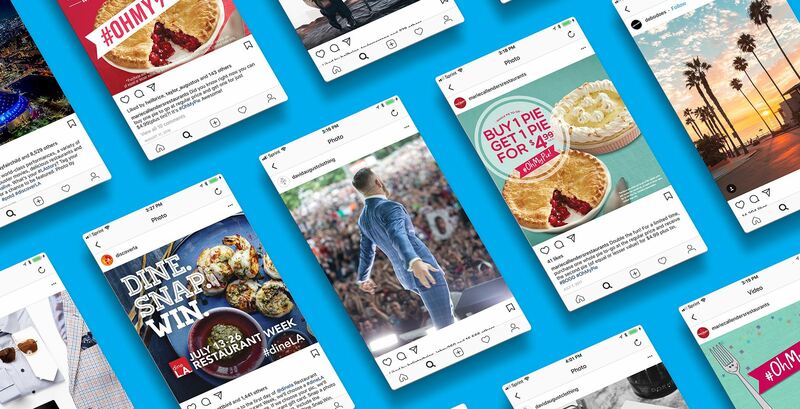 After an intensive brand audit, we developed a new and relevant brand positioning for Marie Callender’s that helped them take credit for their “authentic” story. 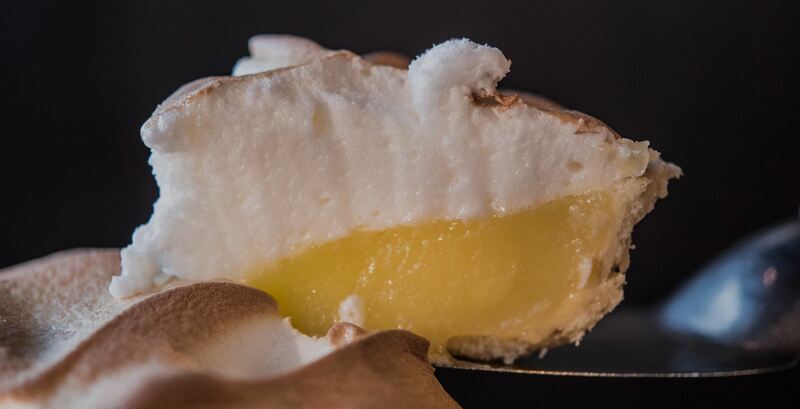 The new brand positioning highlighted what made Marie Callender’s unique and what differentiated them from their competition. Home Cooked Happiness became the inspiration behind all traditional and social media. 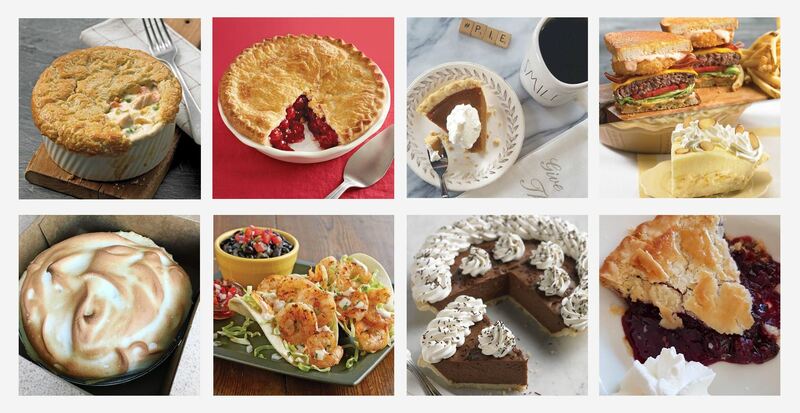 Social media was the perfect place to tell the Marie Callender’s “authentic” story with beautiful images of their home-style, comfort food and deliciously famous pies. We also encouraged and supported user generated content, as posts from guests generally have high engagement and lead to growth in followers. Over the past five years, we continued to successfully increase Marie Callender’s social media presence. We provided daily content and engagement for all social platforms, created quarterly social media contests and generated monthly reports to track growth, popularity and engagement. 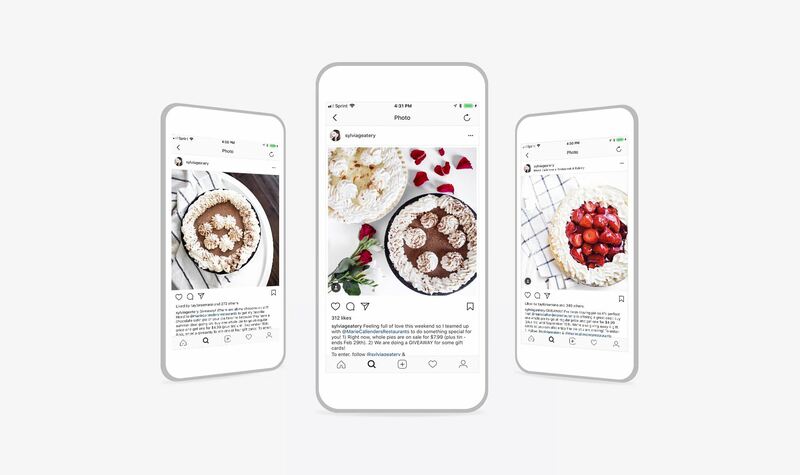 To increase awareness and engagement we collaborated with 15 Instagram Influencers in the “Foodie” space to help promote various Pie Sales throughout the year. Influencers have a combined 850,739 followers. We did this with no advertising costs through creating mutually beneficial agreement to gain impressions and followers. David August is known for clothing that makes a statement. Custom-made wardrobes that are crafted by expert clothiers and made from the finest fabrics in the world. For David August, social media provides opportunities to engage with followers and provide relevant content for those who look to the David August brand as not only clothing, but a way of life. The Modern American Man attitude and lifestyle with relevant topics of how to be a man in this day and age is to be featured through this category. How to tie a tie, how to invest and where, inspirational quotes from David and clients, and other “get your week started right” styles of content. 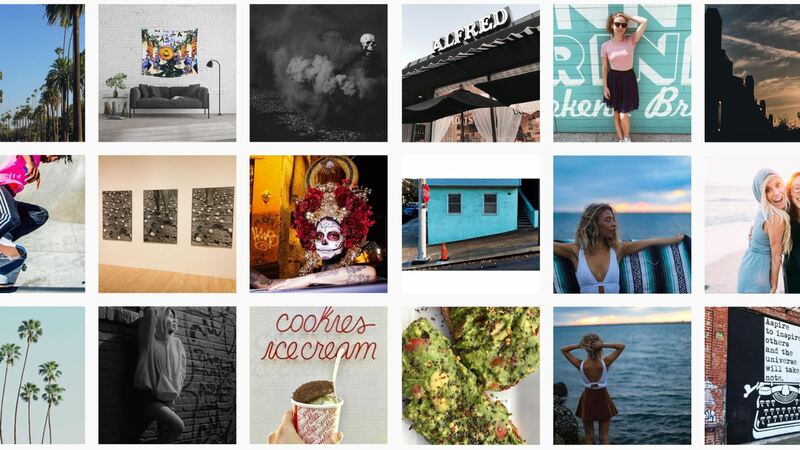 Content is curated around topics such as: travel, work and career, product news, fashion and lifestyle trends. Recently, David August saw an incredible increase in social traffic, social followers, social reach, and website traffic. This was due to the news and press surrounding Conor McGregor during his world tour promoting his August 26th fight against Floyd Mayweather. Conor wore David August during his four-day tour most notably an “Eff You” suit that made headlines worldwide along with going viral on social. Interest in the suit and later, the August x McGregor line proved to be an amazing promotional opportunity for David August. The event helped David August gain 10,785 net new followers on Instagram with engagement (comments/likes) reaching an all-time high of 39,189. Monitoring news and posting related content has helped expand our Facebook efforts, as well as created successful Facebook Ad campaigns to generate impressions, website traffic and sales. We also leverage David August’s high-profile clients for social strategies and content. Running Facebook Ad campaigns boosts social metrics, leads to conversions and sales, and increases website traffic. Twitter is used best as an engagement tool, and as such it is monitored daily for news, relatable content, or user interactions in order to boost the David August presence on the platform. We monitor the “Twitter-verse” daily for opportunities to share content to David August and respond to fans or potential clients while also leveraging current clients.